NEW PRICE! If you want to live in sought after Kilgore Plantation at an unheard of price this is your chance! Priced to sell, this could be the blank canvas you are looking for to add your own touches! Sitting on one acre this beauty offers a great floor plan, livable as is or ready for your personal finishes! 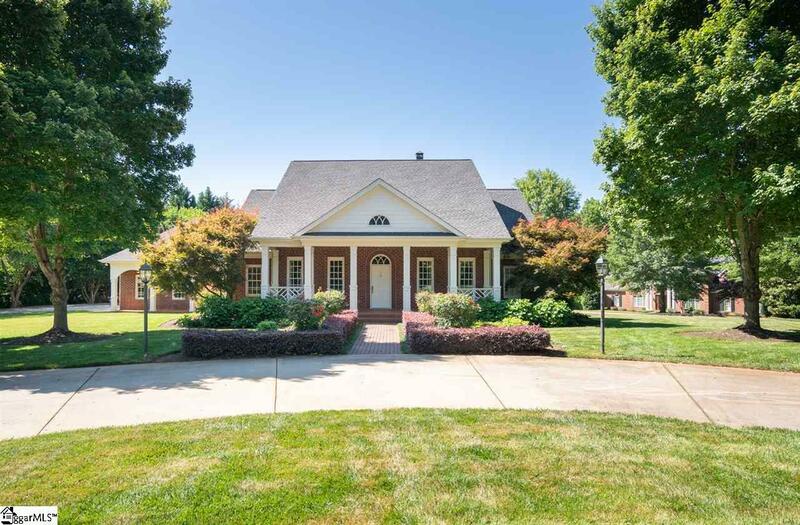 The circular front drive leads to a large covered front porch to welcome everyone. Inside you will find a floor plan featuring large rooms, high ceilings and gracious entertaining spaces. The master suite, including a private sitting room, is on the main level and features a large master bath with double sinks, jetted tub and walk in shower. Don't miss the 'safe' room! A delightful surprise, an almost hidden office with beautiful built in cabinets with direct access to the master bedroom and front living room. The family room features a two story ceiling that adds to the open feel and offers wonderful natural light. The large kitchen and breakfast room lead you to the mud room with a separate outside entry. Formal living and dining rooms finish out the downstairs. Upstairs you will find one bedroom with a private bath plus two more bedrooms and bath. New hardwood flooring upstairs with hardwood flooring throughout, no carpet! Upstairs also boasts an over sized bonus/flex room. Huge three car garage with room for a workbench. There is an enormous unfinished space over the entire garage with entry from the garage that can be storage or finished for an endless number of uses, possibly a mother in law or guest suite? Beautiful flower beds and a well manicured lawn adorn the exterior. This one owner home has been meticulously maintained and loved by the owners! Listing provided courtesy of Becky Orders of .